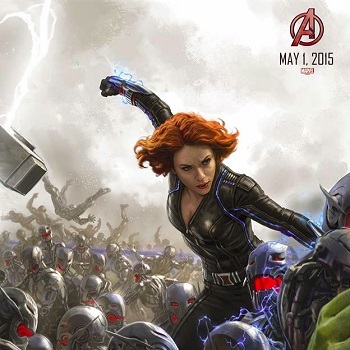 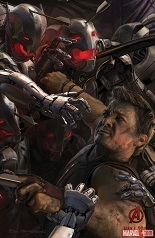 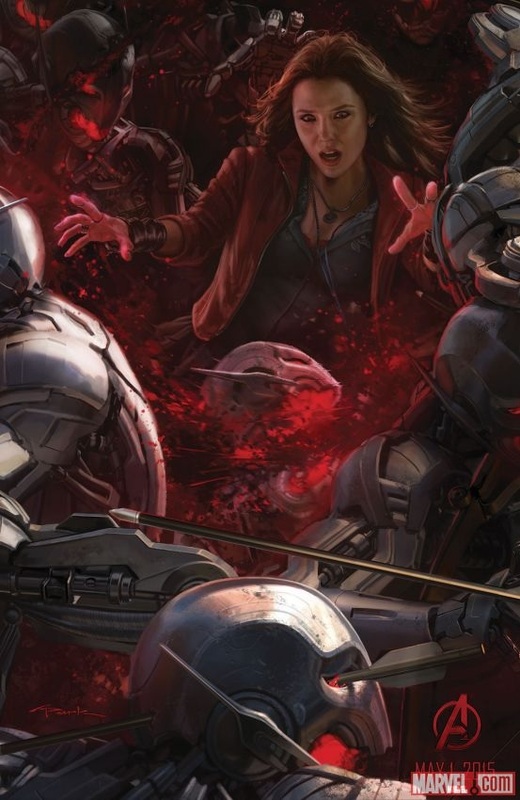 Marvel's Avengers: Age of Ultron posters feature a massive showdown between our heroes and Ultron's army. 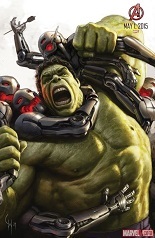 Update 2: Final additions of Hulk and Thor. Update 1: Hawkeye, Quicksilver, and Vision have been added. 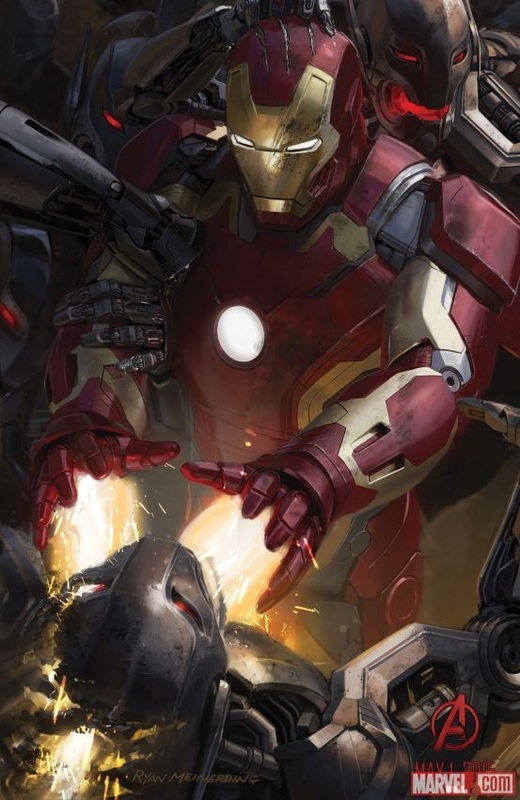 Original post, with new posters:If you're at SDCC this week, head over to the Marvel booth (#2329) as soon as possible to pick up some of their limited edition Avengers: Age of Ultron concept art posters. 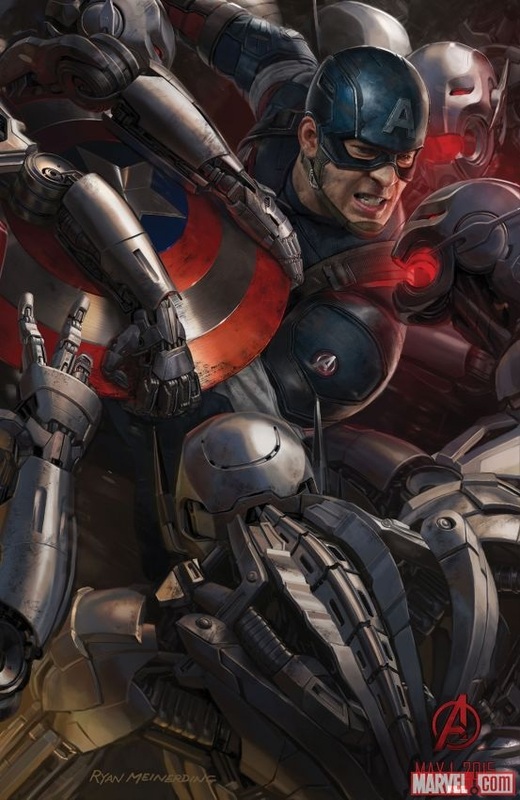 Each poster features a different character, but together they reveal a massive battle between the Avengers and antagonist Ultron's robotic army. Not all of the posters have been revealed yet, but once they have we'll add them to this post. Revealed so far are posters featuring Captain America, Black Widow, Iron Man, and Scarlet Witch. 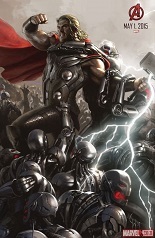 Mjolnir, Thor's hammer, and the arm of the Hulk are also visible in the posters. 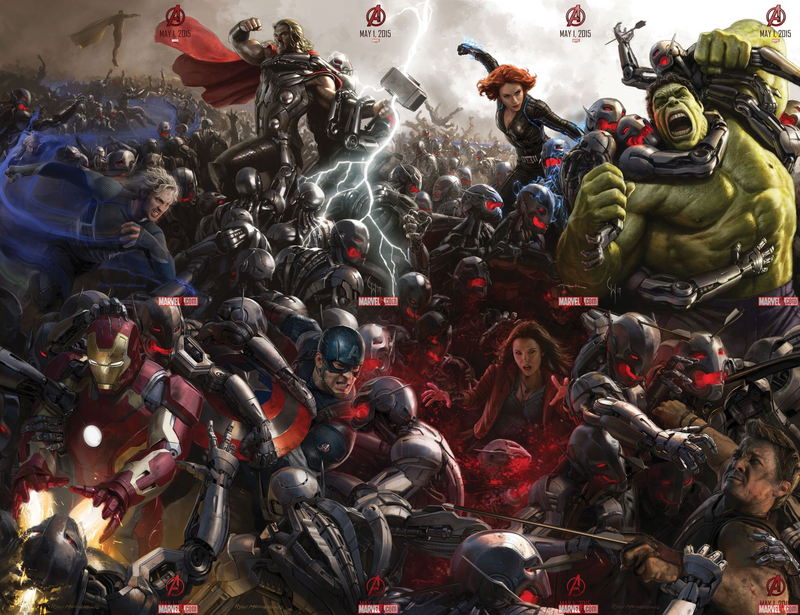 Given the blank space left, it seems logical to expect at least two more posters. 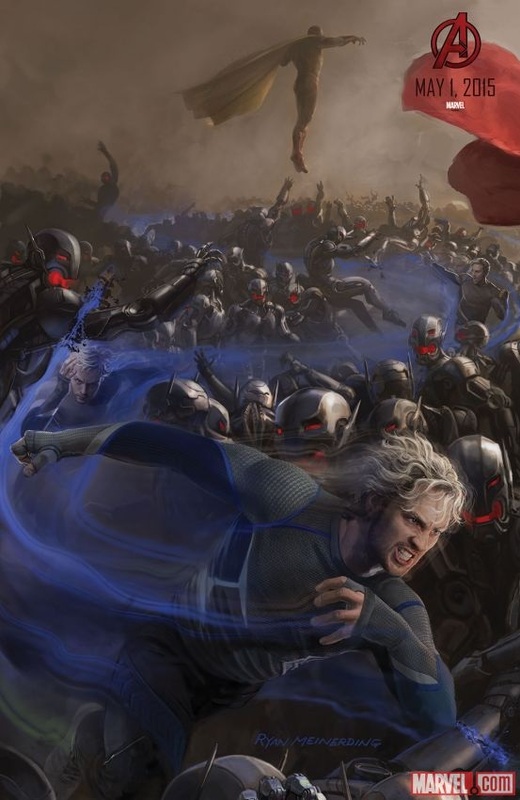 Absent from the party are Hawkeye, Quicksilver, and other potential guests Sam Wilson (the Falcon), James Rhodes (as War Machine or Iron Patriot or whatever he's going by), and Vision. 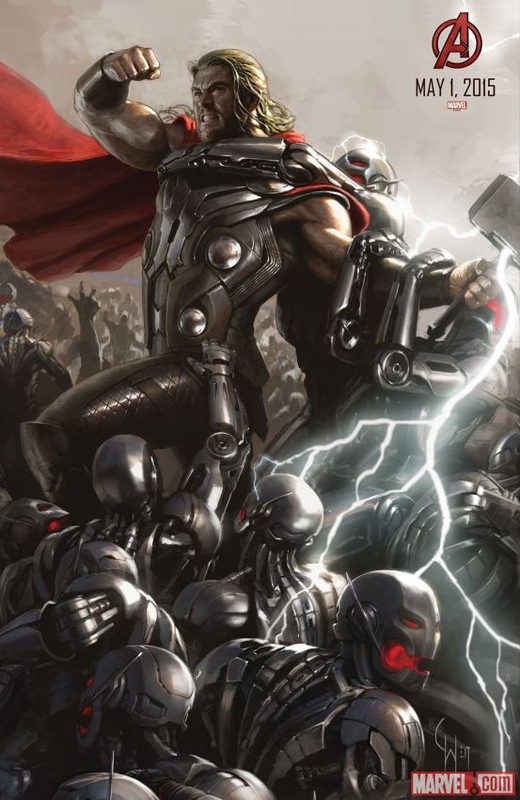 The posters are a collaborative effort by Ryan Meinerding and Andy Park, both Marvel veterans. Avengers: Age of Ultron hits theaters May 1st, 2015 and Marvel's next cinematic outing, Guardians of the Galaxy makes its debut to the public this August 1st. 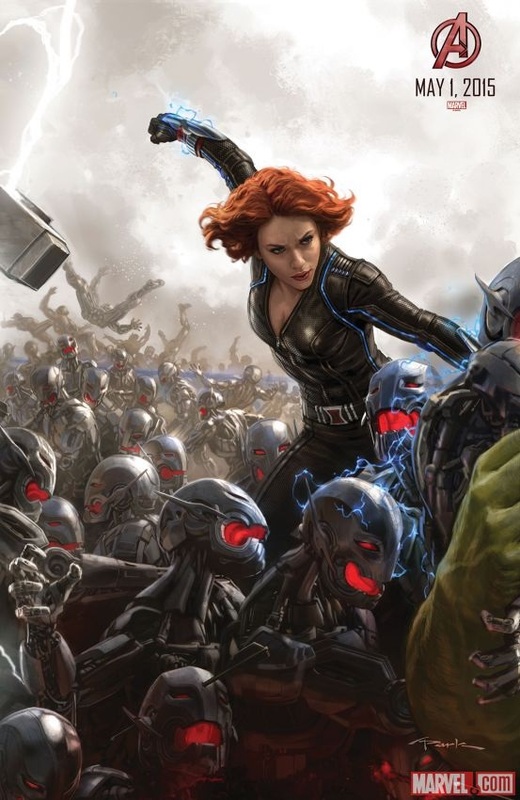 Marvel should have plenty of Avengers good stuff and other movie (and possibly comic) news over the next few days, including an expected teaser for Avengers: Age of Ultron. You can check for the rest of our Comic-Con coverage here.